The Bridge Platform performs integrations between PureCloud and your systems or services, whether they are on-premise or in the cloud. For examples of integrations the Bridge Platform can perform, see the Suggested content. 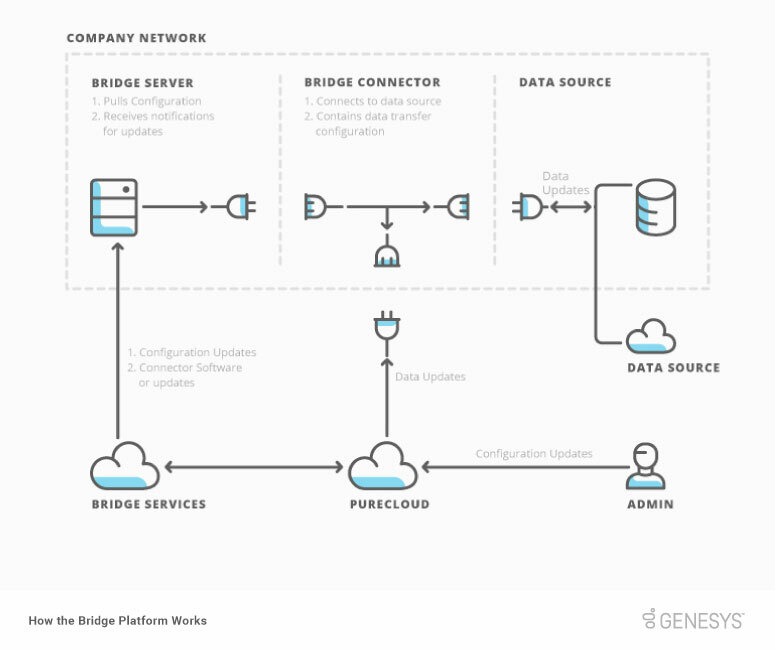 Bridge コネクター The plug-ins that are installed on the Bridge Server to synchronize data with a specific system (Active Directory, SQL Database, CIC, Workday, etc. ).